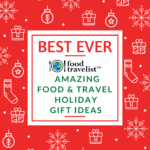 Madison Wisconsin is surprising because there is so much to see and do! It is a beautiful town, sitting on a small hill surrounded by water. There’s a lively college scene, which means you can get a lot of great food at really good prices. And, of course, it’s in Wisconsin, where the craft beer is flowing and cheesemakers have to have a license. That’s serious stuff – seriously good! We had a chance to enjoy the Mad fun and want to let you know what’s hip and happening for your next visit. Many thanks to the Graduate Madison, Staybridge Suites and Visit Madison for hosting our visit. All opinions we provide are our unique views and reflect our experiences. We pledge to provide our audience with truthful and honest reviews. If you read our article about our earlier visit in Marvelous Madison you’ll know that we had some fun in this town before. This time we had the chance to explore some more of the downtown area. We ate some seriously tasty food and tasted a lot of German heritage, which made one of us extremely happy. The other one was pretty happy too if truth be told. So anyway, here’s a fresh look at what to see and do in Madison Wisconsin. One of the great things about visiting a college town is, well, the collegiate atmosphere. The Graduate Madison is literally a block from the University of Wisconsin, Madison campus. Inside, you’ll find every imaginable comfort that will make you wish you were in school again. 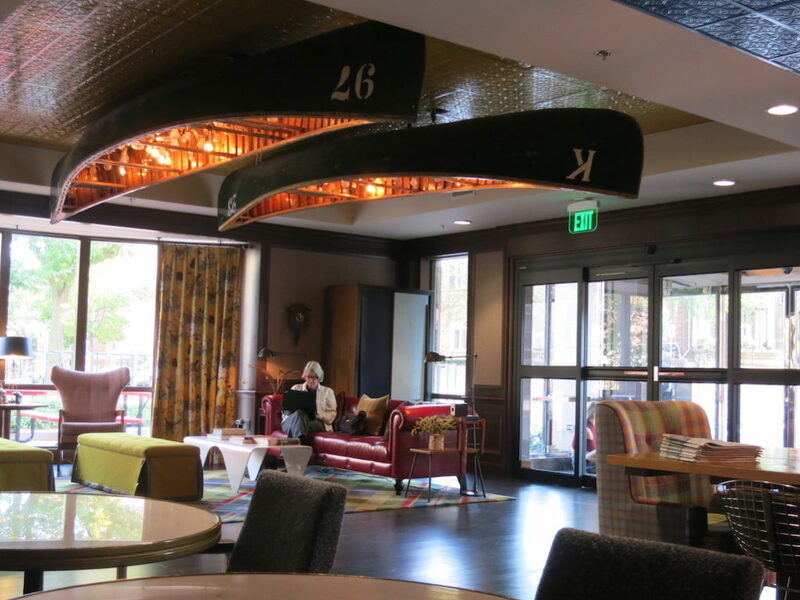 Whether you’re visiting for pleasure, to check out the school or visit with students, the location can’t be beat.The lobby has a fun retro feel in the art, hanging canoe and cheery colors and even plaids. The rooms are fun and carry through with the “Graduate” theme in every corner of the place. They’re comfy and come in various sizes with lots of amenities. Among our favorites are the complimentary Wi-Fi and the Malin + Goetz products in the bathroom. We had a view right out to the action on the street, but the room was quiet as can be, earning the Graduate super-high marks for one of the most important features, in our opinion. If you look on the wall you’ll see the photo of Rodney Dangerfield performing the Triple Lindy in his film Back To School. It’s these kinds of touches that keep you looking at all the details the Graduate sets out for you to discover for even more fun. 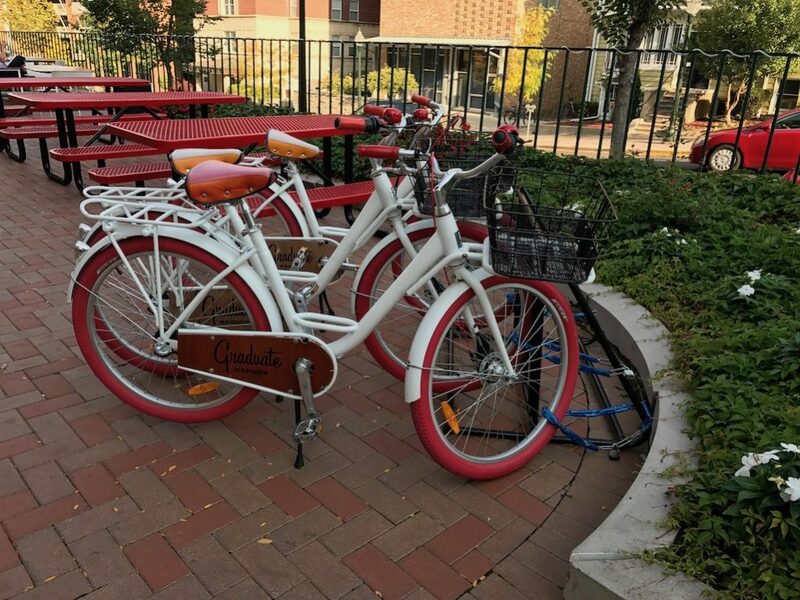 If you feel like taking in a little fresh air, checking out the local scene and getting a bit of exercise all at the same time, you can borrow one of the Graduate’s bicycles and go for a ride around town. 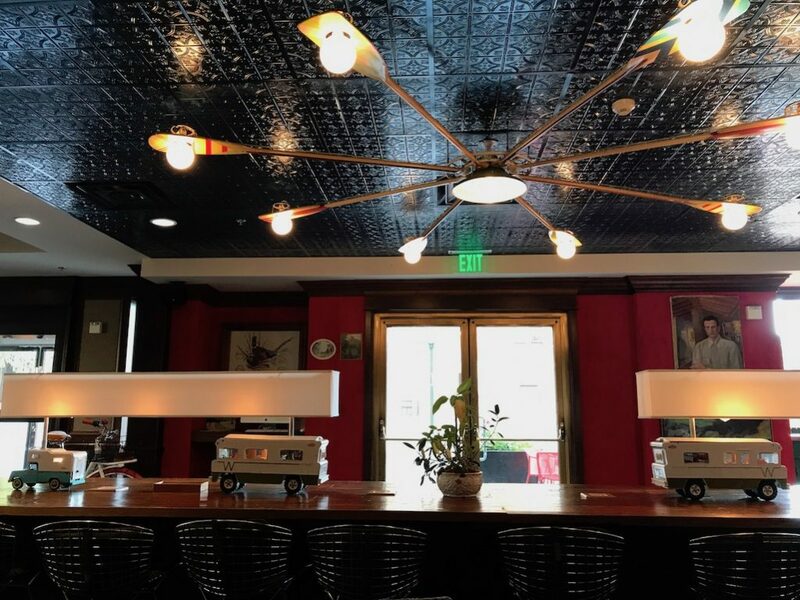 One of the many new exciting developments is the latest dining option upstairs at the Graduate. Camp Trippalindee (get the reference?) 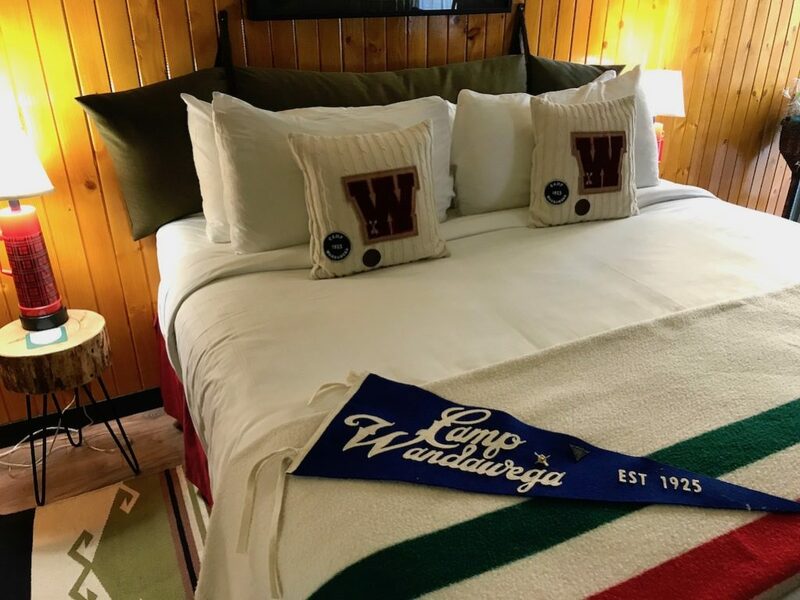 offers a fun retro camp atmosphere with tasty snacks like tacos and burgers, craft beers, and, our favorite cocktail, the Wisconsin Old Fashioned. You can watch downtown and Lake Mendota. Snuggle up with a comfy blankie, roast marshmallows or make s’mores over the fire pits, if you’re in the mood. There’s also an indoor area that’s fun, campy and suitably decorated with more crazy camp memorabilia. 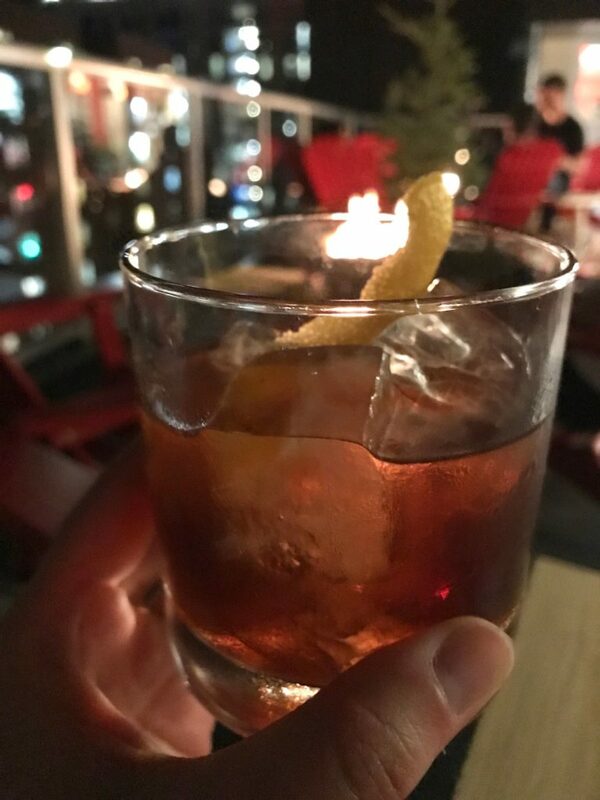 You’re bound to have a good taste and a good time. 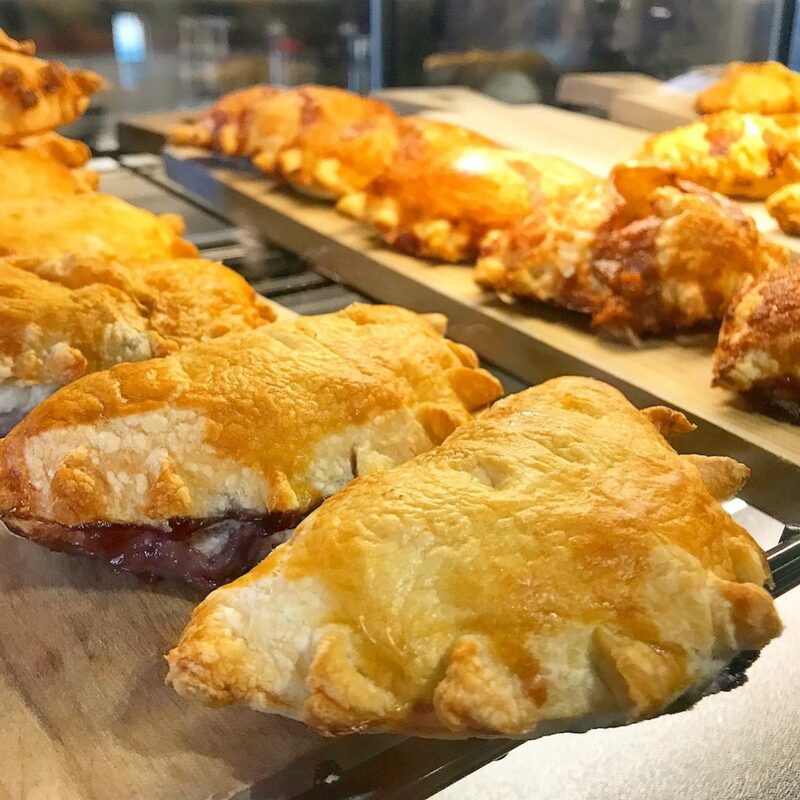 The lobby of the Graduate seamlessly flows into a totally chill cafe that doubles as a study area for locals wanting to have some incredibly tasty Nitro cold brew coffee, a yummy housemade hand pie or other snack and hang out at somewhere way more fun than a Starbucks. In addition to some cozy tables around the side, there’s a long middle community table with lamps that, we kid you not, have model RVs as their bases. The lights above are set in canoe oars. So really, how can you not smile in a place like this? Impossible. Fun. Totally memorable. And, close to everything. The Graduate in Madison Wisconsin really does have it all. It just so happened to be around Oktoberfest time when we were visiting. 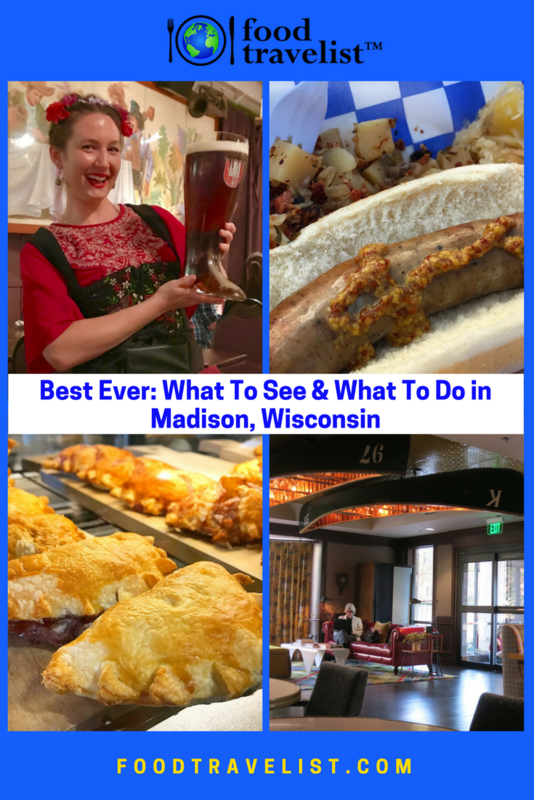 So, of course, we had to try one of the most famous Bavarian restaurants in Madison Wisconsin, Essen Haus Restaurant and Bar. The atmosphere is fun, loud, lively and really happy. 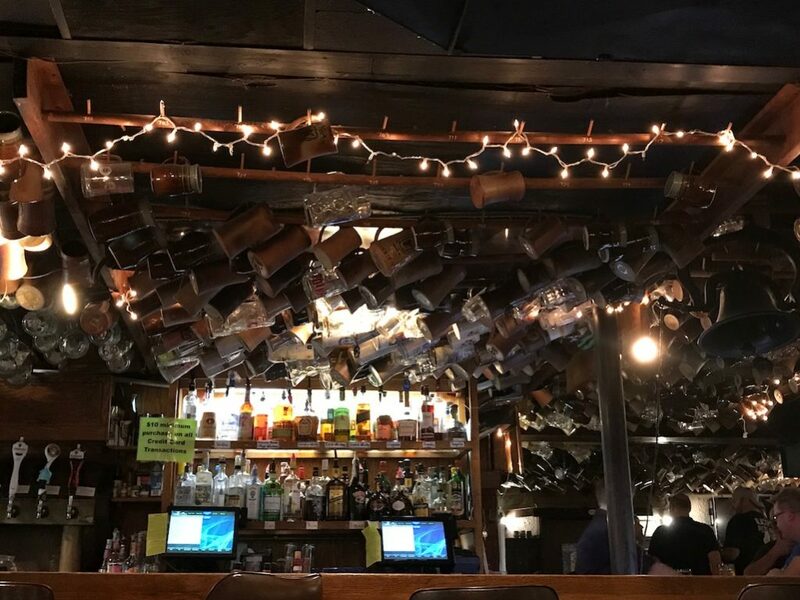 The Essen Haus has happy hour specials, food specials and a late nite menu, and of course every great German beer under the sun. You can start with your appetizer of choice. 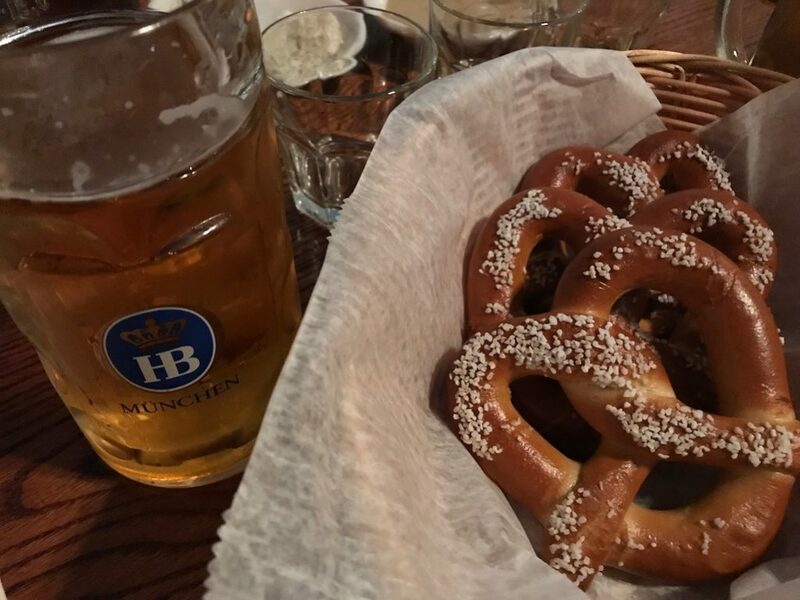 Bavarian pretzels are always a good beginning. 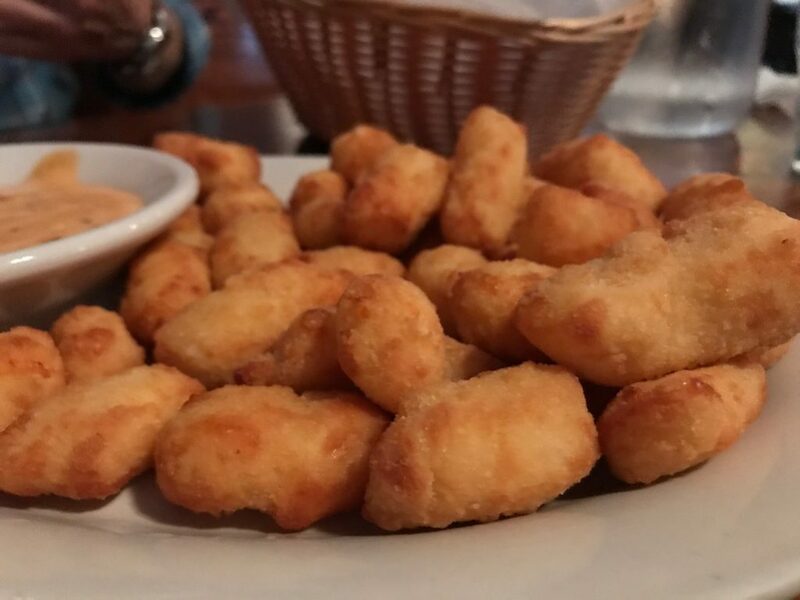 And, if you want to remember that you’re in Madison Wisconsin, you won’t be able to resist the classic tasty cheese curds either. Well, at least we couldn’t resist them. 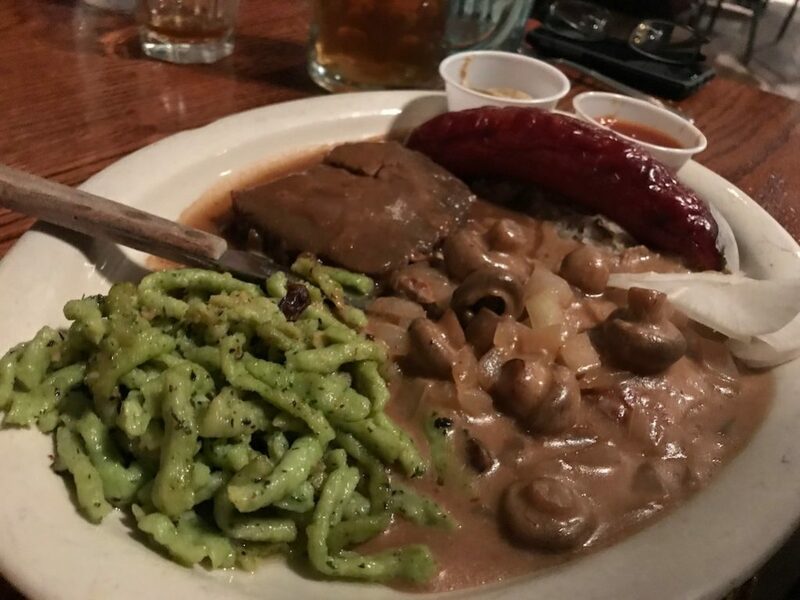 You will find all your favorite German items, from Schnitzel and Sauerbraten to pretzels and wurst. 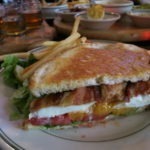 They have plenty of local Madison Wisconsin food options too. And if you just can’t decide then you can order a big ol’ sampler platter with a variety of tastes like we did. Everyone will find something to enjoy. Of course, it wouldn’t be complete without a lot of German biers! The Essen Haus has a huge tap beer selection, with all the faves you’d find at Oktoberfest in Munich – Hofbrau Paulaner, Spaten and more. They keep up with the seasonals, too and we just couldn’t help to fill our steins with Oktoberfest brews. 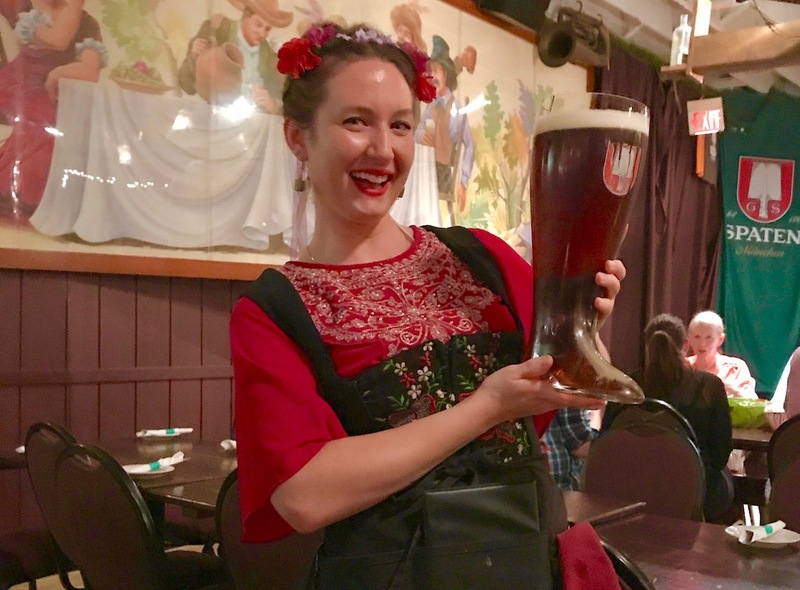 If you’re feeling up to it, you could even try to finish off one of their 2-liter boots! This can be a challenge but you can give it a try while enjoying the sounds of a live polka band playing you on. What happens when you put together German beer, Oktoberfest, and Madison Wisconsin? 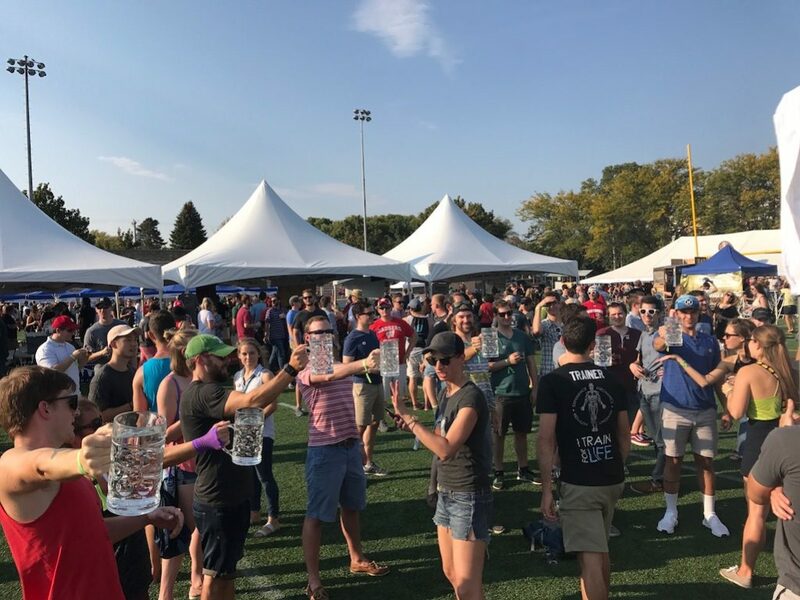 You get the Isthmus Oktobeerfest, of course! This ridiculously fun and delicious event was so popular last year that they moved it to a bigger venue. 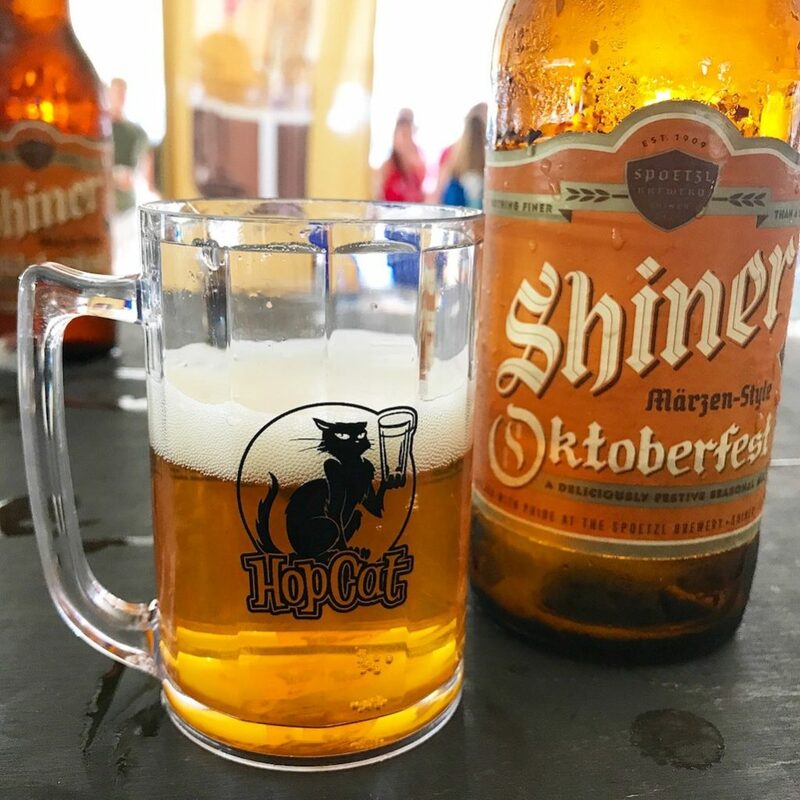 The event featured samplings from 50 craft breweries with an emphasis on Oktoberfest brews. There was also a Wisconsin Wine Tent, featuring local wineries. 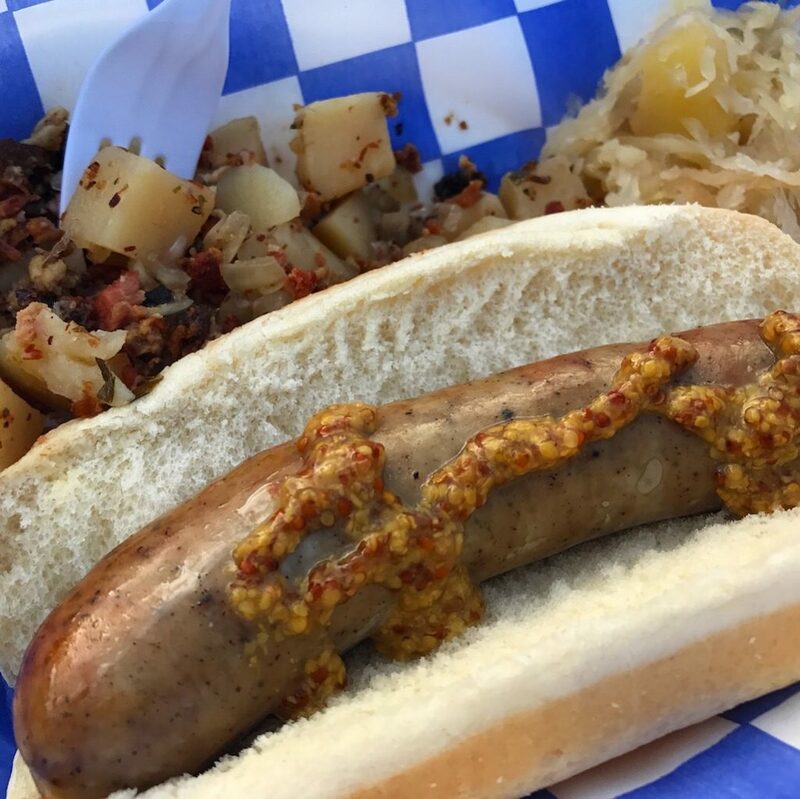 A yummy Oktoberfest-inspired lunch featured an awesome grilled brat with authentic German potato salad and apple-kraut included in the ticket. There were other fun activities like a Silent Polka, Stein Hoist competition. We loved the opportunity to taste so many delicious beers and hang out with the locals. We all were feeling festive and had fun enjoying one of the local fests in Madison Wisconsin. On our last night, we had the opportunity to try the brand-spanking new accommodations offered by the Staybridge Suites. This property is about twenty minutes away from the downtown Madison area. It’s a bit quieter and has easy access to many grocery stores, restaurants, and retail stores. The concept here is a little bit different than your typical hotel. The Staybridge Suites, while they can surely be booked for a night or two, the hotel especially shines when you need to be away from home for some time. The hotel offers on-site guest self-laundry facilities, housekeeping full service, free wireless Internet and a full kitchen. It’s like a nice apartment for folks who want or need an extended stay. There are a lot of amenities offered here. There’s a free breakfast buffet that you can enjoy downstairs while watching one of the big screens to get your morning news. And they have a “theater” room where you can sit in total comfort as you binge on your favorite shows with the feeling of being at the cinema. 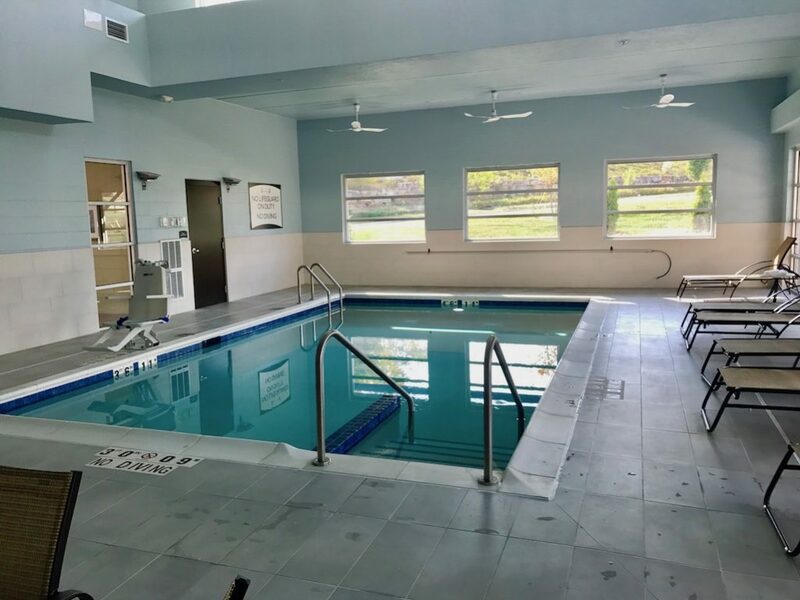 There’s a beautiful indoor pool area that is perfect for relaxing and rejuvenating in the aqua pure water no matter how nasty the weather may be outside. 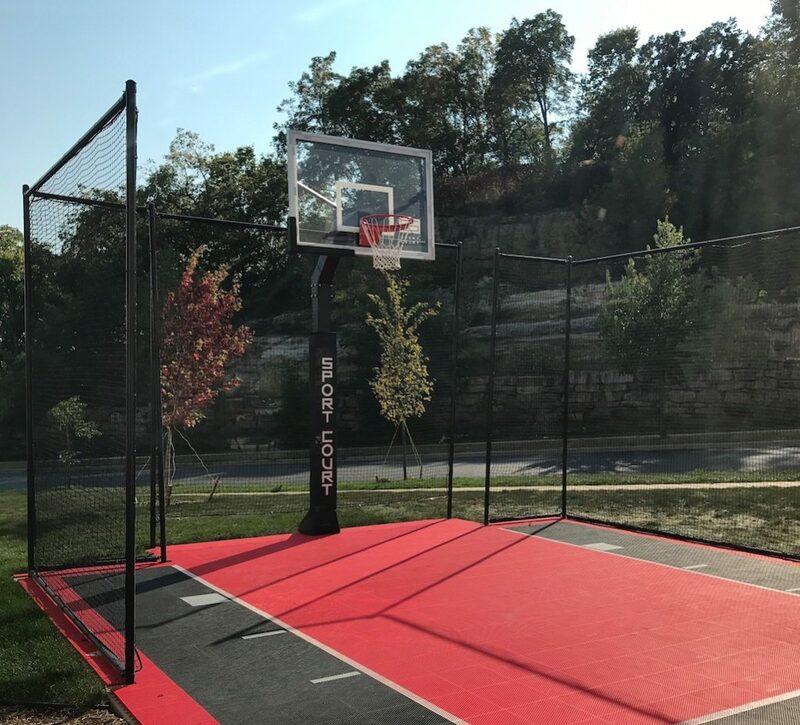 But if the weather happens to be okay, you can shoot some hoops on this super fun half court all within steps of your room. The Staybridge Suites also offers fun little evening receptions with appetizers for you to enjoy during the week. 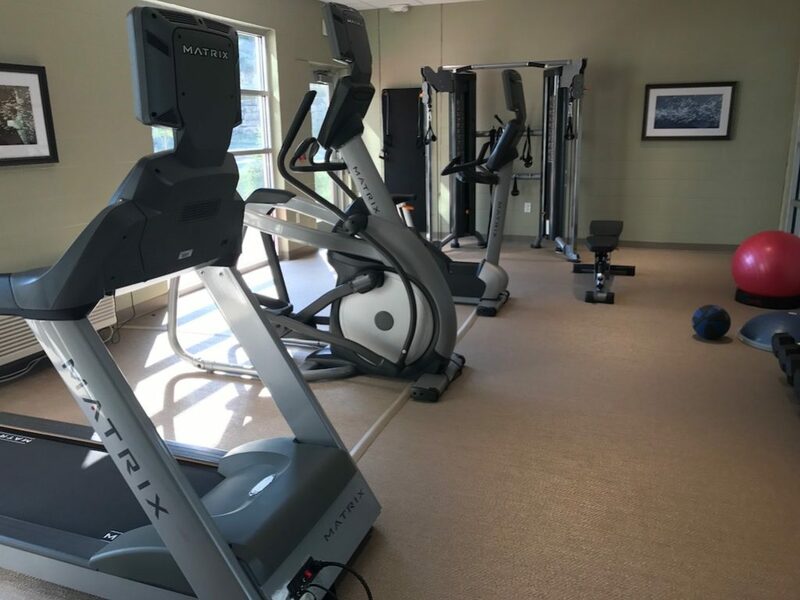 So between the free breakfasts and afternoon treats, you’ll be happy to know that there’s also a fully loaded workout room with state-of-the-art equipment so you’ll be able to eat all you like and still stay fit. 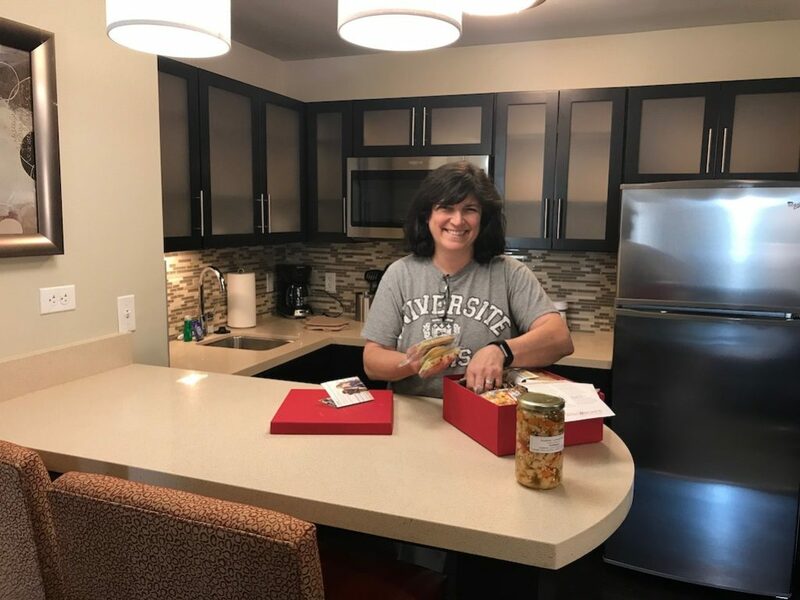 The idea behind the Staybridge Suites is to help people feel a sense of community when they need an extended stay. 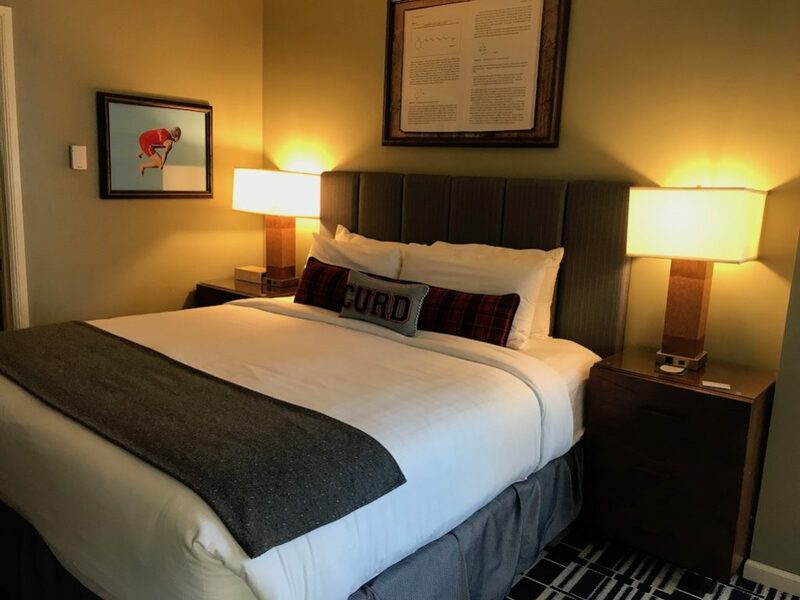 The upscale atmosphere, plentiful amenities, attention to details and attentive service make this a great option when you need to be on the road away from home for awhile. We were some of the first visitors to this new location. But we could already tell how comfortable it would be to be a part of their community. Just a bit away from Madison Wisconsin is the little town of Middleton. You may not think there’s much going on there, but you’d be wrong. We just had to stop on our way home to visit the National Mustard Museum. Yes, that’s right. Mustard. This fun and fully stocked museum surprised us with its extensive collections of mustards from around the world. There are unusual mustard accessories, information and mustard memorabilia. You’ll find nearly 6,000 mustards from all 50 states and more than 70 countries. This collection is something you really have to see to believe. 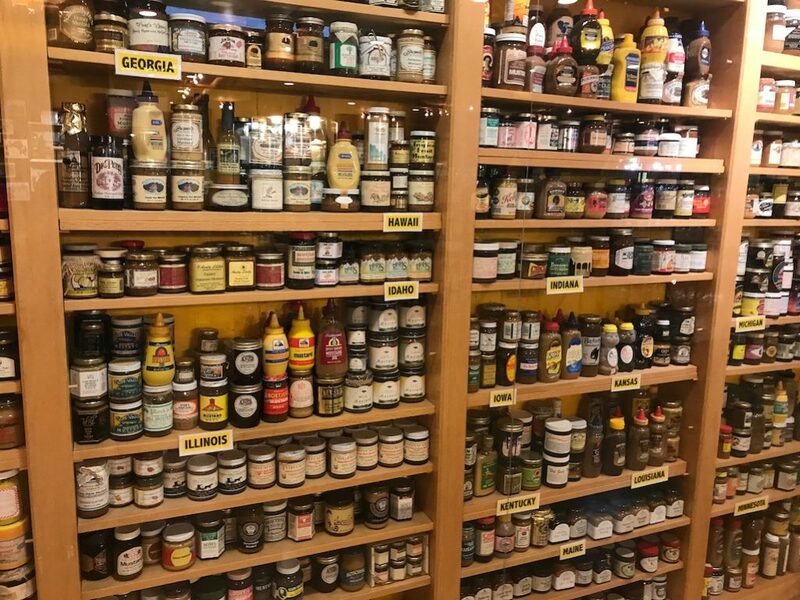 Founded by Barry Levenson, once an Assistant Attorney General for the State of Wisconsin, he began collecting mustard jars and, as they say, the rest is history. And before we headed home we had to have one last sweet memory of our time in Wisconsin. So, we stopped at the spot that every single local we asked told us we had to visit – Middleton’s own Hubbard Street Diner and Bakery, famous for its pie. Being the good food travelists we are, we had to try some out for you. 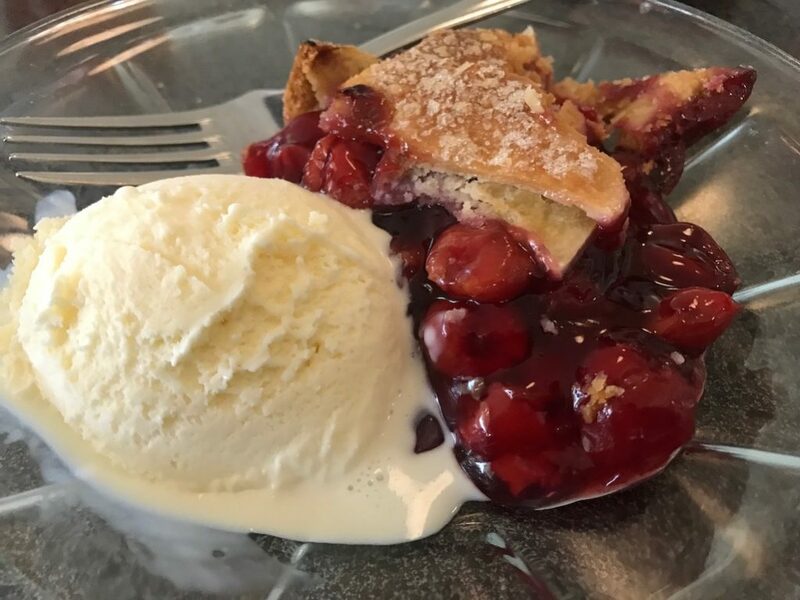 Do you like cherry pie, freshly baked with a buttery, crispy, chewy, sugary crust? And delicious classic vanilla ice cream on the side? We thought so. Frankly, so did we. This was some seriously tasty pie. And the crowd that hungrily filled the diner ordered everything classic diner dish you can imagine. But when they were finished, they also had pie. Proving once again, that wherever you go, great tastes are universal. We hope we’ve shown you that there’s a lot to see and do in Madison Wisconsin. So next time you have the inclination for a great time, head on over and have some mad fun. 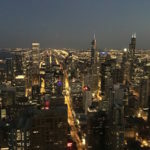 If you’d like more information about visiting Madison check out VisitMadison.com for lots of planning and travel tips. 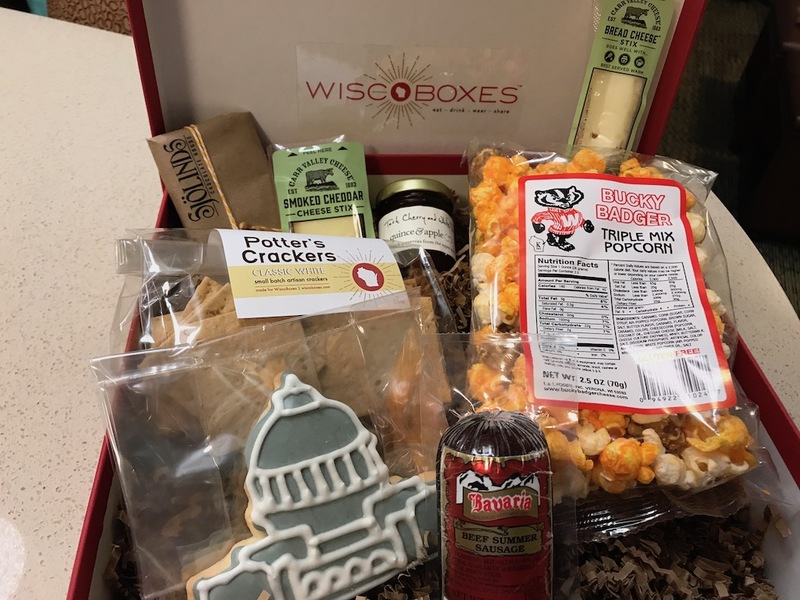 If you get homesick for Madison or any other part of the Dairy State you can order a themed gift box from Wiscoboxes. They create gift boxes with products from small Wisconsin companies farmers, dairies, snacks, and more. You’re bound to find a gift box that your friends and family will enjoy, while you’re at it order one for yourself! I haven’t made it to that side of the country but Madison, Wisconsin looks like a lot of fun, especially for adults!! Madison Wisconsin looks like a fabulous place to visit! I would love to take my family here soon. I have never heard of Madison. I am going to have to check it out for sure the next time I am in Wisconsin. You have certainly intrigued me. I’ve never been to Wisconsin before but I’ve heard great things about Madison. I definitely need to add it to my travel list. Wow! This looks like an amazing place to visit! Those Pretzels are on my list. I’ll have to remember to visit Madison if I ever get to Wisconsin. Madison really is a Wisconsin gem. Thanks for stopping by Amy. 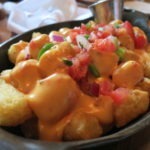 I have never been but these photos are making me hungry to visit! I would fall in love just because of cheese lol. Thank you for sharing! I have never been to Wisconsin. Looks like Madison is an interesting place to explore. Sounds like this would be a fun family trip! I haven’t ever been to Madison but it looks like you had a great time. The hotel looks super cozy. I like staying in hotels that have kitchens. It makes it easier to go to the grocery store and save money on eating out. i have only been in Wisconsin on quick trips for a purpose, never to see cool things but I would love to go explore. It is such a short drive from here in Cedar Rapids, I need to explore the area! I live in Wisconsin, but I’ve never been to Madison. I’ve always wanted to go though. Looks like there is a lot to do there. I have never been in Madison ever. But this place looks a wonderful place to visit. I have never been to Wisconsin and when I get there the first thing that I will do is to find all the best food out there. I’ve never been to Madison and it would be so nice to go and just enjoy what the place has to offer! It looks like it’s totally worth the travel! Never have I ever been to Madison WI… So I appreciate the suggestions! 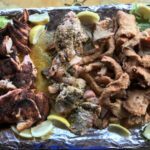 I would try and find ALL the best food joints, because that’s what I do – EAT! Madison is such a fun area to visit! We loved it when we went and we all want to go back! I”ve never been to Wisconsin but I hope to visit there one day. If I do I think these places will be on my list! Madison looks an awesome place! Lots of great food and drinks! A must-see now on my list. We were actually just in Madison a few months ago, and it was a lot of fun! It’s the unsung hero of Wisconsin, in my opinion.